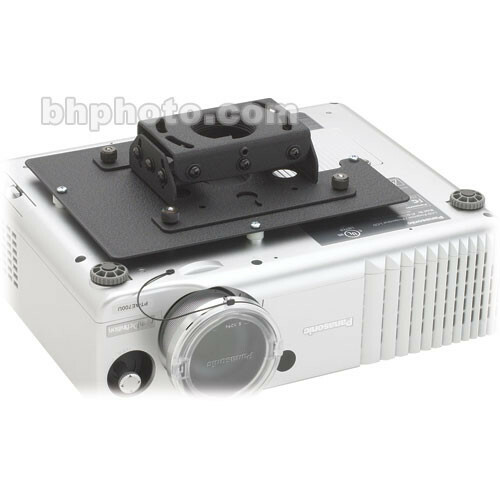 The RPA-106 Inverted Custom Projector Mount from Chief allows you to mount a compatible digital projector to the ceiling. The mount supports independent yaw, roll, and pitch adjustment for precise fine-tuning of registration. Its quick connect/disconnect system allows you to change lamps and filters with ease: without the loss of registration settings. The mount also features an All-Points Security system. Steel-into-steel locking hardware prevents thieves from making off with your valuable hardware. You have the option of mounting the projector flush to the ceiling, using 0.25" threaded rods, or a standard 1.5" NPT threaded extension column, all available separately. The integrated cable management system supports a clean installation, preventing data and power cables from being damaged. Box Dimensions (LxWxH) 19.75 x 14.75 x 4.0"